• The 7-Eleven Store Support Center is the first building on your left. 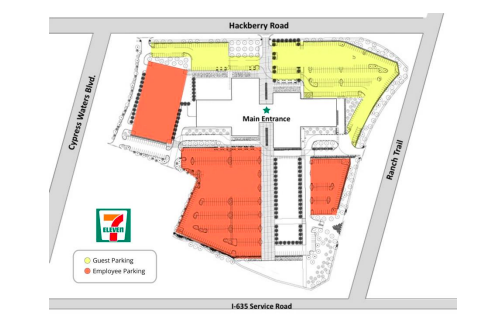 Parking is located off Hackberry Road. All parking spots, visitor and unmarked, are available for guests. 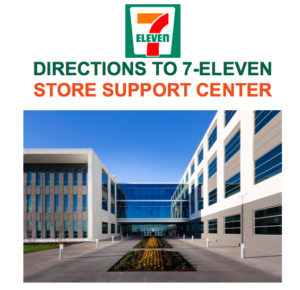 • After the stoplight at Cypress Water Boulevard, the 7-Eleven Store Support Center will be on your right. 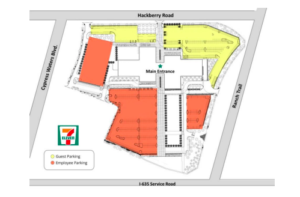 • Parking is located on the Hackberry Road side of the building – all parking spots, visitor and unmarked, are available for guests.